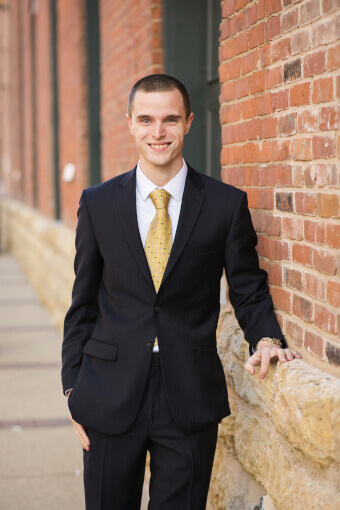 Adam J. Babinat - O'Connor & Thomas, P.C. Adam J. Babinat is from Waterloo, Iowa. He graduated from the University of New Hampshire in 2014 with a Bachelor of Arts in English. He received his Juris Doctorate from Drake University Law School in 2017, graduating with honors. While in law school Adam argued in front of the Iowa Supreme Court and was awarded the best brief in Drake’s Supreme Court Day Competition, an appellate advocacy competition. He joined the firm in 2017, and is admitted to practice in Iowa, Illinois, and the United States District Court for the Northern District of Iowa. Adam’s practice includes, but is not limited to, litigation and appeals, criminal defense, nosiness law, labor and employment law, personal injury and construction law.